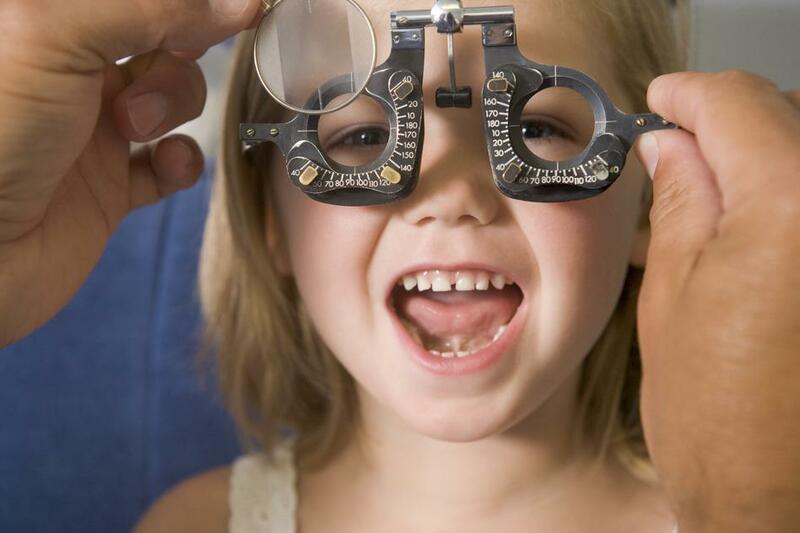 At Silverman Opticians our optometrists can provide advice and treatment on myopia control. 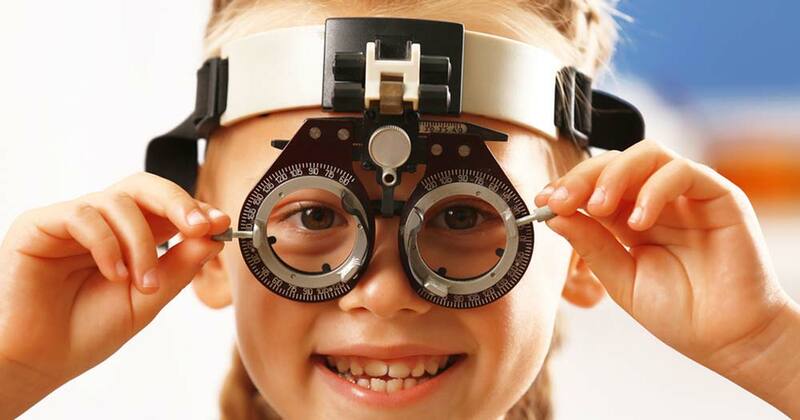 Myopia (short sight) is increasing throughout the world affecting about one in three of the US population. A recent Swedish study found that 50% of 12 year olds are myopic, expected to rise to 70% by age 18, with over 80% in parts of Asia. Myopia typically develops at about six to eight years of age and progresses fastest in younger years before stabilising in early adulthood. Several factors play a role in the development of myopia. Family history has considerable influence and recent research has shown that environmental factors such as light levels can also have an impact. Firstly there is one thing that all parents can do straight away to help their child – get them to spend more time outdoors! Studies have shown that increasing outdoor time slows myopia progression and there is ongoing research to find out why this is, and whether the quality of the light the child is exposed to is important. A good time to aim for is 2 hours per day outdoors. Pharmacological therapy, using eye drops to affect the focusing. This treatment is not currently available in the UK as drug safety trials are still underway. What can Silverman Opticians offer? Dual focus/multifocal Soft contact lenses are worn on a daily wear basis, cleaned each night, and are replaced each month. They are soft and comfortable to wear and children adapt very quickly to them and often much quicker than adults! These lenses can usually be fitted at any age and there are proven benefits regardless of the age of the child when fitted, although the earlier in the development of myopia, the greater the overall end result will be. These contact lenses like all other therapies only slow down the progression of myopia & it will be unlikely to stop it and will not reverse any pre-existing myopia. Corneal reshaping contact lenses (orthokeratology) and certain bifocal soft contact lenses have presented very promising results. Spectacle lenses including multifocal and specially designed myopia control lenses have been shown to make an impact. The eye tracker is a device with Infra red cameras used to detect eye movements during reading The software replays exactly where the patient was looking and shows the horizontal and vertical position of the eyes and convergence/ phobia. 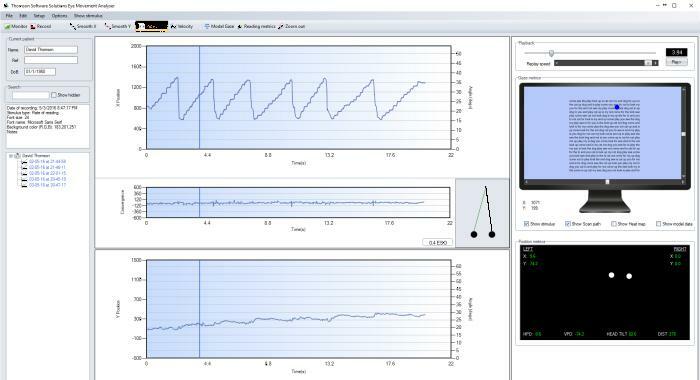 Powerful built in analysis algorithms automatically provide a range of statistics relating to reading performance. It shows the position of the eyes in relation to each other, and to the text, and conclusions can be drawn as to the reading speed, efficiency and other factors for example, such as how much time eyes fixate on a word, which impacts on processing time, and so on. If the eyes are not working in a coordinated manner, then all sorts of learning and processing issues arise. This may add to the burden of other developmental delays/variations or problems which may already exist, thus making the learning experience really tough.